Providing services for home, hotels, restaurants, theme parks, and commercial properties. 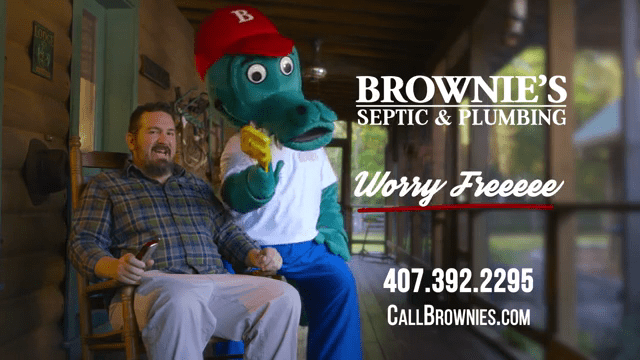 Brownie's Septic & Plumbing is the largest and nearly the oldest plumbing service in Orlando. Founded in 1948, Brownie's has been a fixture (no pun intended) in the Central Florida community for nearly 70 years, offering the widest range of plumbing and septic tank services in the market! After all those decades, we haven't lost our touch; we still offer the same fast, professional, and durable results today. Most of our customers choose us because we offer 24-hour emergency services, but they continue to come back to us because our technicians are some of the most qualified in the business. Our commercial clients, who include Universal Studios, Denny's, and more, depend on us because they know we get the job done when the stakes are high. Our residential service is no different; all that matters to us is that our customer is happy and relieved by the time we're finished. 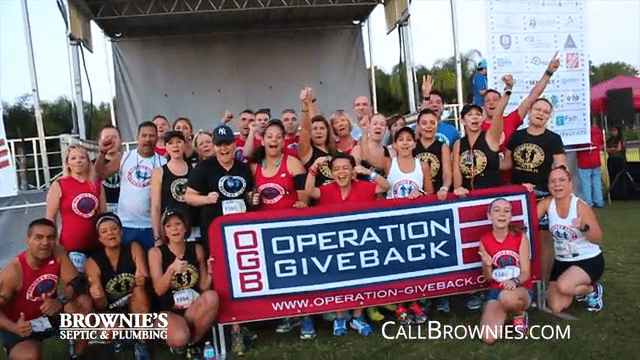 Call (407) 890-0116 or fill out our online contact form to get started. Brownie’s Septic & Plumbing is the most popular choice for restaurants, theme parks, and residents throughout Orlando because we offer a complete menu of services. We’re the one-stop shop for all your plumbing needs, from drain cleaning and repair to well/sump pump installation to all septic tank services you could ever need. The best part? We’re a 24-hour service—meaning we have qualified technicians on-call and working around the clock. A lot of our competitors talk a big game about providing repairs at all hours, but our graveyard shift staff knows we’re more than just talk. Stop depending on the same unreliable plumbers. Talk to Brownie’s about handling all your plumbing needs in a single visit. With a fleet of 45+ trucks, we’re always ready to help. With 45+ Trucks, We’re Always Around to Help. Emergencies Don’t Sleep & Neither Do We! We’ve Been Doing This for Almost 70 Years. Our Team Is Uniformed, Clean, & Highly Trained. We’re the Largest Septic Company in Orlando. We Can Handle it All! We Use Digital Paperwork & Recycle to Keep Our Planet Green! We're a family owned and operated business. Our goal is to provide the best quality and experience to every customer.